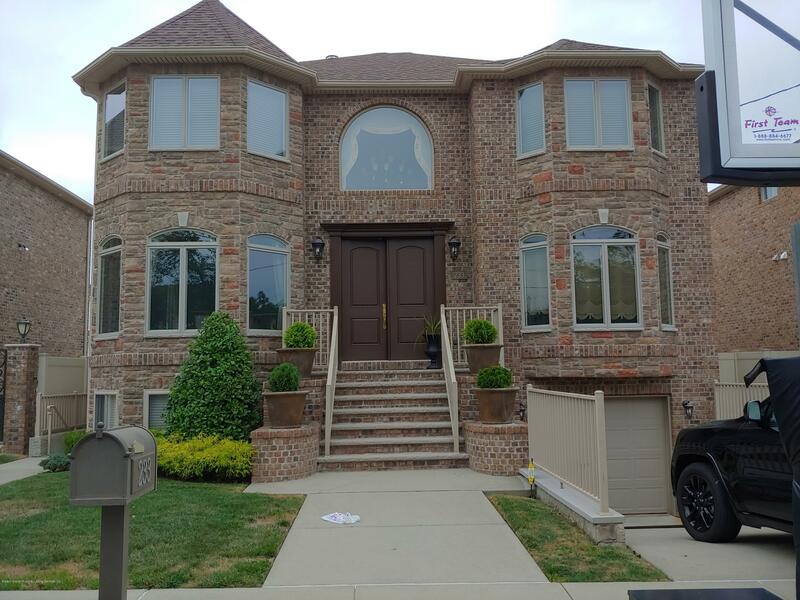 CUSTOM WELL APPOINTED 2 FAMILY CHC, ENTER INTO A GRAND 2 STORY ENTRY WITH SWEEPING STAIRCASE, FORMAL DINING ROOM, FORMAL LIVING ROOM. CUSTOM GRANITE KITCHEN W/ISLAND, SS APPLIANCES. 1/2 BATH, LAUNDRY ROOM, FAMILY ROOM W/GAS FIREPLACE/ SLIDERS TO COUNTRY CLUB YARD. 12 X 21 IN GROUND HEATED SALT WATER POOL, OUTDOOR GRANITE KITCHEN, 2ND LEVEL FEATURES LARGE MASTER SUITE W/CATHEDRAL CEILING, WIC, PRIVATE 4 PIECE JACUZZI, BATH, 3 ADDITIONAL BDRMS + FULL BATH. FINISHED BASEMENT WITH GAME ROOM & MEDIA ROOM &STORAGE. CROWN MOULDINGS & WOOD FLOORS THROUGHOUT. CENTRAL VAC, RADIANT HEAT UNDER TILEWORK, PVC FENCING, 1 CAR GARAGE PLUS LARGE STUDIO & CENTRAL AIR, TRULY A MUST SEE.